The measured quantity is the molecular weight of macromolecules or protein solution samples. Figure 1. 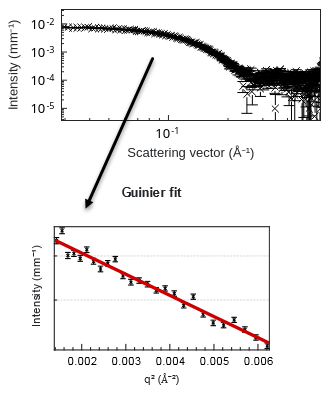 Scattering data acquired on lyzosyme in acqueous solution (top) and the corresponding Guinier fit of the low q data points (bottom). In the absence of aggregation effects, a simple analysis allows one to estimate the mean size of the scatterers, supposedly similar in shape and size. In the low q range, the scattering of globular objects is well described by the Guinier law. 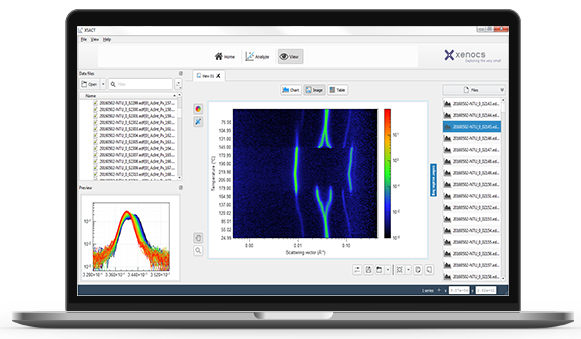 XSACT analysis software implements the above method. Why use SAXS for molecular weight determination ? 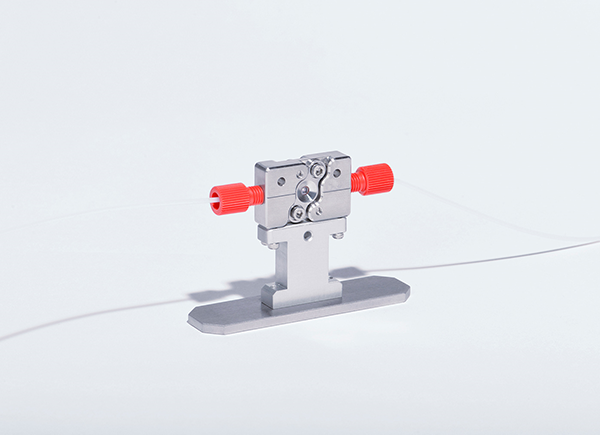 SAXS is a non-destructive method, allowing to study samples in their bio-chemical environment. Molecular weight measurements require absolute intensity measurement of scattering. With Xenocs SAXS equipment, this is possible without the need for intensity calibration.